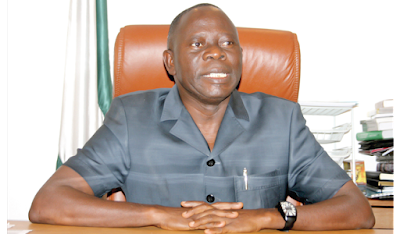 The Reformed All Progressives Congress (R-APC) has sued the APC, its national chairman Adams Oshiomhole, and the Independent National Electoral Commission (INEC), as well as 51 others. R-APC Chairman, Mr Buba Galadima, and Kassim Afegbua file the suit on behalf of other members of the group on Thursday at the Federal High Court sitting in Abuja. The group is asking the court to declare as invalid, null and void, the election of Oshiomhole and 51 other APC members elected as national officers of the ruling party. They also sought for a declaration that having regard to the constitution of the APC, particularly article 20, the election conducted on June 23 at the Eagle Square is invalid, null and void. The plaintiffs further prayed the court for an order of perpetual injunction restraining Oshiomhole and the other 51 defendants from parading themselves or claiming to be officers of the APC. They also want the defendants restrained from performing any function as officers of the ruling party in any capacity whatsoever, claiming their elections and swearing in as officers of the APC were invalid, null and void. The R-APC sought for an order of perpetual injunction restraining APC from “harassing, intimidating, suspending, or expelling” any of their members from the ruling party. They also want the court to restrain INEC from recognising the members elected at the APC national convention as national officers, members of the National Working Committee, as well as zonal or state executives of the party.